Given his erratic behavior, from daily Twitter eruptions to upping his tally of lies by the hour, it’s hard to think of Donald Trump as a man with a plan. But in at least one area -- reshaping the economy to serve the needs of the military-industrial complex -- he's (gasp!) a socialist in the making. His plan is now visibly taking shape -- one we can see and assess thanks to a Pentagon-led study with a distinctly tongue-twisting title: “Assessing and Strengthening the Manufacturing and Defense Industrial Base and Supply Chain Resiliency of the United States.” The analysis is the brainchild of Trump’s adviser for trade and manufacturing policy, Peter Navarro, who happens to also be the key architect of the president’s trade wars. First, were you aware that the Pentagon even had an Office of Defense Industrial Policy? It sounds suspiciously like the kind of government organization that engages in economic planning, a practice anathema not just to Republicans but to many Democrats as well. The only reason it’s not a national scandal -- complete with Fox News banner headlines about the end of the American way of life as we know it and the coming of creeping socialism -- is because it’s part of the one institution that has always been exempt from the dictates of the “free market”: the Department of Defense. Second, how about those 300 subject matter experts? Since when does Donald Trump consult subject matter experts? Certainly not on climate change, the most urgent issue facing humanity and one where expert opinionis remarkably unified. The Pentagon and its contractors should, however, be thought of as the ultimate special interest group and with that status comes special treatment. And if that means consulting 300 such experts to make sure their “needs” are met, so be it. And needless to say, this being the Pentagon, one of the biggest desires expressed in the report is a need for -- yes, you guessed it! -- more money. Never mind that the United States already spends more on its military than the next seven nations in the world combined (five of whom are U.S. allies). Never mind that the increasein Pentagon spending over the past two years is largerthan the entire military budget of Russia. 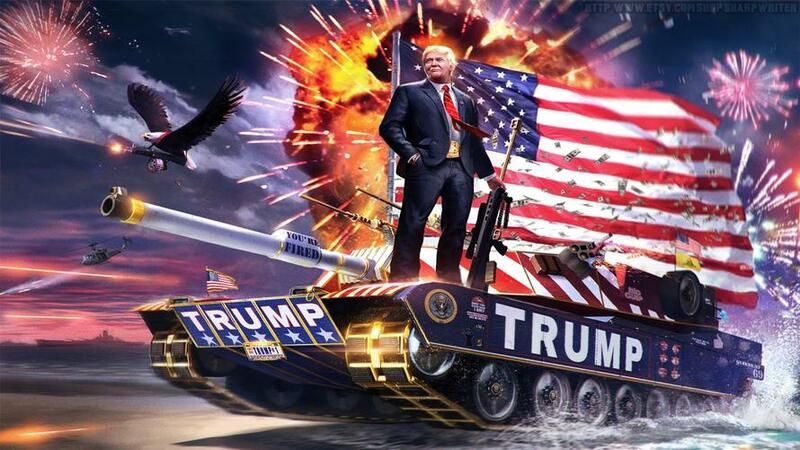 Never mind that, despite pulling tens of thousands of troops out of Iraq and Afghanistan, this country’s spending on the Pentagon and related programs (like nuclear warhead work at the Department of Energy) will hit $716 billionin fiscal year 2019, one of the highest levels ever. Face it, say the Pentagon and its allies on Capitol Hill, the U.S. won’t be able to build a reliable, all-weapons-all-the-time economic-industrial base without spending yet more taxpayer dollars. Think of this as a “Pentagon First” strategy. Consider it beyond ironic that some of the same experts and organizationsnow suggesting that we bet America’s future on pumping up the most inefficient sector of our economy -- no, no, I didn’t mean the coal industry, I meant the military-industrial complex -- are conservative experts who criticized the Soviet Union for the very same thing. They still claim that it imploded largely because Washington cleverly lured its leaders into devoting ever more of their resources to the military sector. That, they insist, reinforced a rigidity in the Soviet system which made it virtually impossible for them to adapt to a rapidly changing global economic landscape. Still, the question remains: What would such a shift in priorities mean for the defense industrial base? If you accept the premise that the U.S. government needs to run a permanent war economy (and also fight never-ending warsacross a significant swath of the planet), some of the Pentagon’s recommendations might almost make sense. But a foreign policy that put more emphasis on diplomacy -- one that also thought it important to address non-military dangers like climate change -- wouldn’t require such a large military production network in the first place. Under this scenario, the alarmist argument that the U.S. won’t be able to defend itself without stepping up the militarization of our already exceedingly militarized economy suddenly becomes unpersuasive. But let’s give the weapons sector some credit. Its CEOs are working assiduously to build up local economies -- overseas. Saudi Arabia’s long-term economic plan, for instance, calls for 50% of the value of its weapons purchases to be spent building up its own military industry. 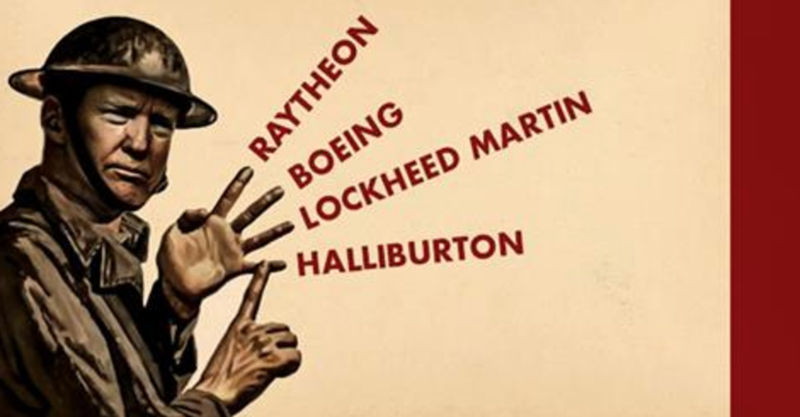 U.S. weapons giants like Raytheon and Lockheed Martin have been quick to pledge allegiance to that plan, setting up subsidiaries there and agreeing to have systems like helicopters assembled in Saudi Arabia, not the United States. Meanwhile, Lockheed Martin is helping the United Arab Emirates develop the capability to produce robot-controlled machine tools that are in great demand in the defense and aerospace industries. And the F-35 program is creating production jobs in more than a dozen countries, including assembly plants in Italy and Japan.